Marvel is a prototyping and collaboration tool that lets designers transform their files into interactive, sharable prototypes viewable on any device and get feedback. They wanted to solve the problem of how designers and agencies deliver their work to clients and teams. Putting beautiful high-resolution mock-ups and designs into a Powerpoint or email is no way to win a pitch or showcase work; Marvel enables designers to present and test their work on any device in just a few clicks. Marvel is powered by Dropbox which means prototypes are updated in real-time: the moment people save a PSD, their prototype updates. The company was founded in 2013 in the UK, and it has since stayed extremely lean. In spite of their small team, they’ve just reached 100,000 users – and they’re adding 10,000 new users and 500,000 designs each month. They do have a freemium model – a monthly subscription will get you several important capabilities, including building Android .apks, downloading the prototypes as ZIP/PDF and – last but not least – removing the Marvel branding from your prototype. Marvel had a lot of paid subscribers right from the start, so they were already using another analytics tool; however, as the platform grew, they needed more in depth insights into their revenue. That’s where ChartMogul came in. ChartMogul removes the pain from calculating and understanding a company’s recurring revenue. It does this by providing – through 1-click integrations into the subscription billing platforms – beautifully simple subscription analytics with little to no configuration. It provides exactly the kind of analytics Marvel was looking for: Month Over Month Revenues (MMR), Churn Rate, Customer Retention, Retention and Customer Lifetime Value, all with multi-currency and geo-mapping. 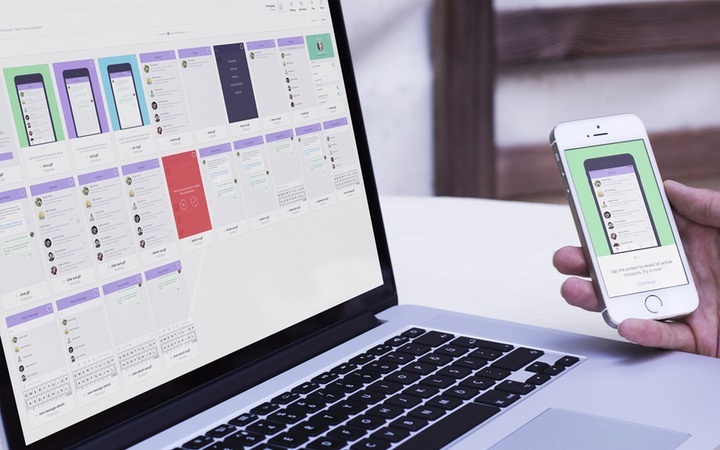 Marvel simplifies the process of creating and demoing usable prototypes for mobile or web – Something that has previously required hours of time and significant effort. The result? Murat’s life was made much easier, and he now recommends ChartMogul to other subscription businesses. ChartMogul adds an extra sophisticated layer of intelligence by offering Cohort Analysis: Observing what happens to a group of customers that joined in a particular time period. It allows companies to better understand the changes in subscription lifecycles, helping the decision making process so the company can take action in time to upgrade or avoid a revenue loss. Armed with full insight and visibility into their subscription customers, Marvel can now confidently focus on what they do best: helping their customers build great, eye-catching application prototypes. You can now sign up to start a 14-day free trial, and see for yourself how companies like Marvel were able to get better insights into their subscription business.